Take a full breath in. And a full breath out. A moment to turn in and feel the grace of your own being. As a dedicated student and teacher of yoga, meditation and reiki, I have come to know these practices as deeply liberating and inspiring. To know that we don’t have to have life all figured out to experience the deep joy of being alive. This practice gives us the space and time to experience the gift and potential of this brand new moment - to feel at home in our own skin, to reset, and to turn towards and remember the truth of who we are. Together, breath by breath, class by class, and trip by trip - yes, retreats are so sweet! - we dive in together and from this place we can show up to move the ourselves, our communities and the world towards more peace, love and justice. I feel privileged to introduce you to a brilliant approach to wellbeing. I draw on the contemplative traditions of buddhism, yoga, reiki, nutrition, positive psychology and integrative wellness to address the entire human experience - physical, mental, emotional and spiritual. “Flourishing” is the term used to describe individuals who are living lives filled with meaning, growth, connection, resilience, and positive emotion. Sadly, research demonstrates less than 20% of the US population is flourishing. Most of us are just getting by, skimming the surface of our lives and our potential. I guide individuals and groups towards flourishing through teaching yoga, reiki and coaching sessions that inspire students to know the power of our thoughts, beliefs, and self-care. Through movement we change and elevate the inner environment. We release stress, support the nervous system, benefit from being supported in community, and we free up energy - expanding our comfort zone, we come to know our own great potential. The daily practice, the yoga community, and the healing practices are my sanctuary and have supported me for many years. I look forward to supporting you in helping you to make them yours. I invite you to reach out me anytime to support you, your friends, family and greater communities in your wellbeing. Kauai Bliss Retreat (women only!) 1 space left. Feb 16 - 21. Tahoe Mountain Retreat, June 2019. Details coming soon! Private Yoga + Reiki in SF. Private sessions in yoga and Reiki available Tuesday, Wednesday + Thursday afternoons, 2pm- 7pm. Give yourself the gift of presence, everyday. 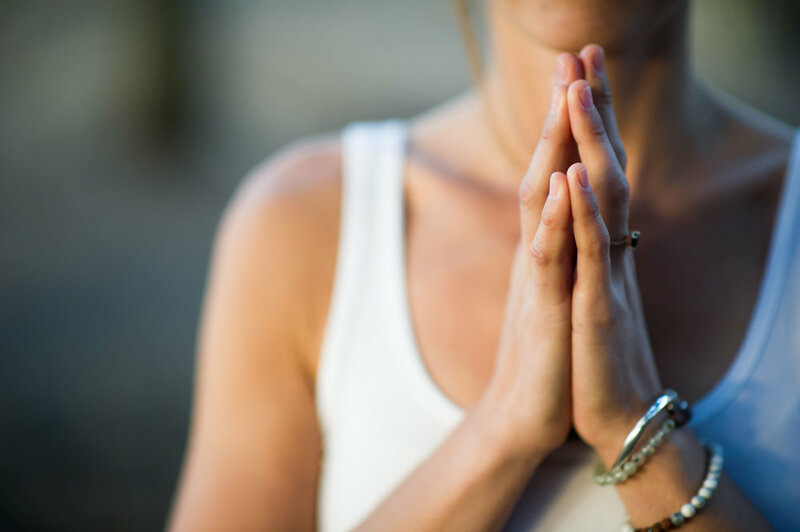 A daily meditation practice of just 5 or 10 minutes can make a profound difference in our lives - reducing stress, living with more ease, and supporting our happiness and wellbeing. "Julianne is the real deal and her classes outside are amazing. After every class on the beach I walk away with new inspiration, my body feels great, and my heart is so full. She is really a special teacher, so humble and such a beautiful presence. I am so grateful to have her leading us." - Stephanie C, San Francisco. "I am so grateful for you Julie! You are down to earth, and so impressive with all that you do. I regularly attend beach yoga classes and they're always a highlight of my week. "I got way more out of it than I was expecting. What would I tell a friend? Do it! Make it happen! It is truly one of the most amazing things I have done for myself. I am still bathing in the afterglow." - Dana P. Guest from Sonoma Retreat.